RBWG launched Interim Management Guidelines for Roebuck Bay to a crowd of over 100 in 2009. The eight principles in the Guidelines will help the community to manage the marine wonderland on Broome’s shores. 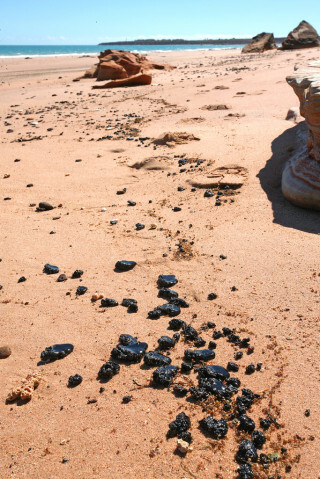 It was not all good news, with an oil spill in Roebuck Bay in 2009 raising concerns about the increase in shipping trade through the Broome Port for onshore and offshore oil and gas exploration, cruise vessel tourism, cattle exports, pearling and commercial fishing.